Mid-Life Cruising!!! : Cajun Rope - For Your Boat! Cajun Rope - For Your Boat! 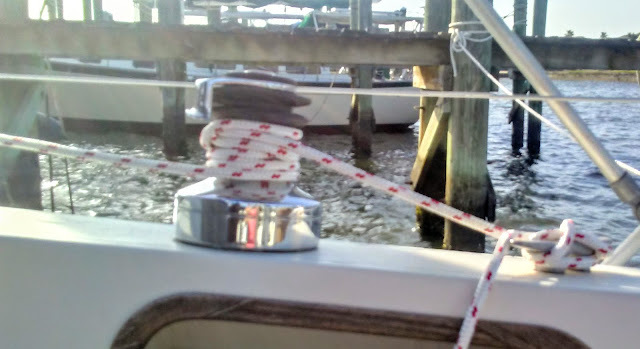 When we decided to buy new halyards, we took the advice of several folks and ordered them online from Cajun Ropes. 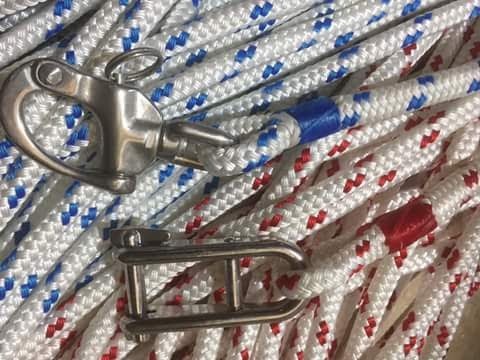 We ordered two "XLE" 3/8" halyards .. one red & white (112') for our main halyard with a stainless headboard shackle, and the other blue & white (118') for our Jib halyard with a stainless snap shackle. Although Gary's prices were already good .. he gave us an additional discount in return for our review on his product. After emailing Gary and receiving our order, we were very pleased with his customer service, pricing and product! 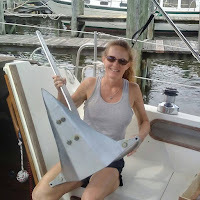 Gary responded to our emails promptly, the halyards arrived quickly, and his work was well done. We were so pleased with "Cajun Ropes" that we placed another order! We ordered a topping lift .. 115' of blue w/white 5/16" XLE with a stainless snap shackle, a main sheet .. 72' of white w/green 7/16" XLE with eye splice, 14' of red 3/16" Spectra Core, and 12' of blue w/white 1/4" Cajun XLE. Again, Gary was quick to respond to our email and we received our order promptly. 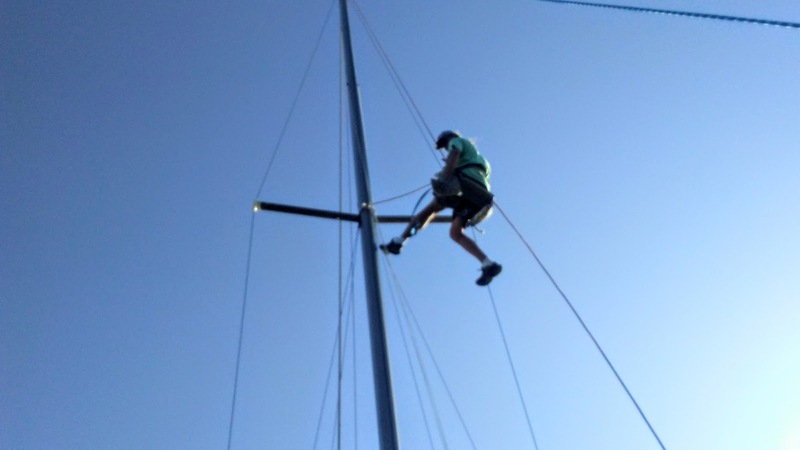 Shortly after receiving our second order, (another) Ken climbed our mast to install an LED bulb for our anchor light & replace our spreader boots. While he was up there, we had him install our new "Cajun Rope" halyards and topping lift. Our new halyard holding Ken up the mast! 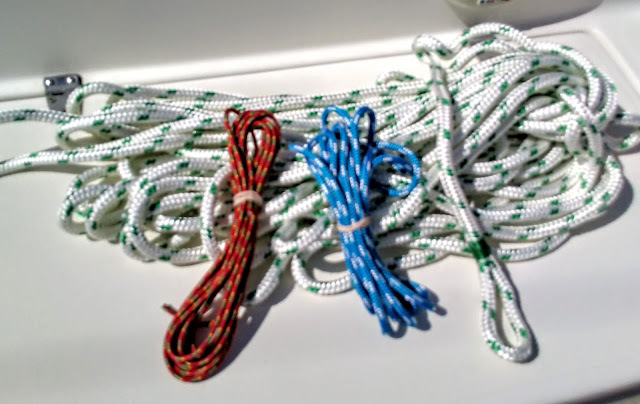 If you're considering ordering halyards, dock lines, mooring lines, shackles, thimbles, anchor lines, dinghy braids, bungee cord, or anything else you can think of .. give "Cajun Ropes" a try! The splicing was very well done, and the prices are hard to beat. Not to mention .. free shipping and a 5% discount if you "LIKE" his Facebook page! For future reference, "Cajun Ropes" will be permanently added on our "Products We Love" page. 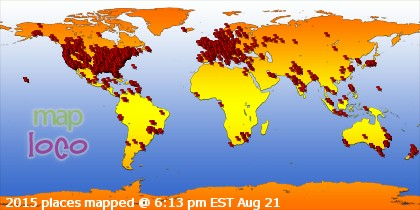 While we may get discounts on products, or even freebies, you won't see the product on our page unless we recommend it! We appreciate Gary's generosity and he's now part of making our dream a reality! Now we gotta get to work on adding the other "ropes" and sails to Nirvana!